$95. 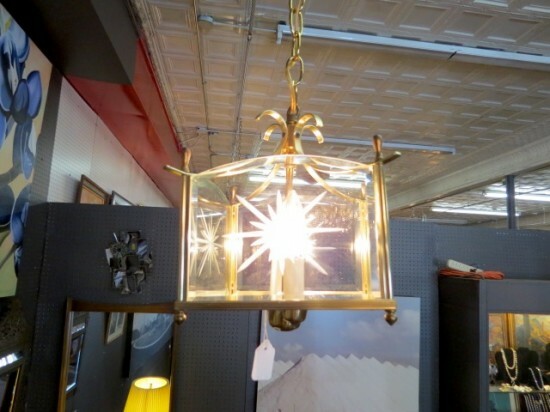 vintage square brass and etched glass lantern chandelier, $95. 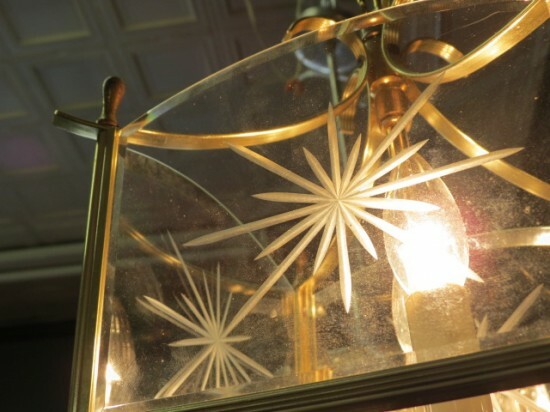 lantern has a brass frame with decorative elements at top and bottom of each corner. curving brass elements at top. 2 chandelier lights. glass has starburst designs etched into the center of each pane. excellent condition: completely rewired. would be great as a hallway or entryway light. 10" tall, 8.5" wide/deep. $95. 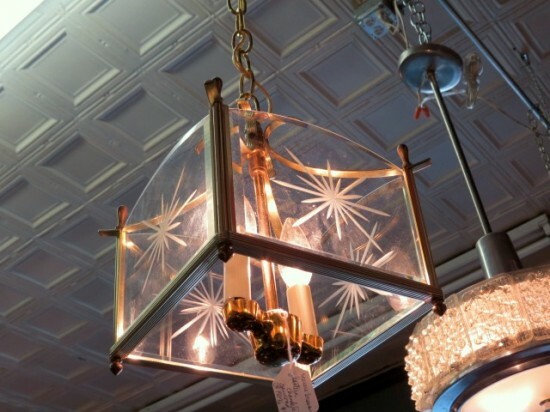 vintage square brass and etched glass lantern chandelier, $95. 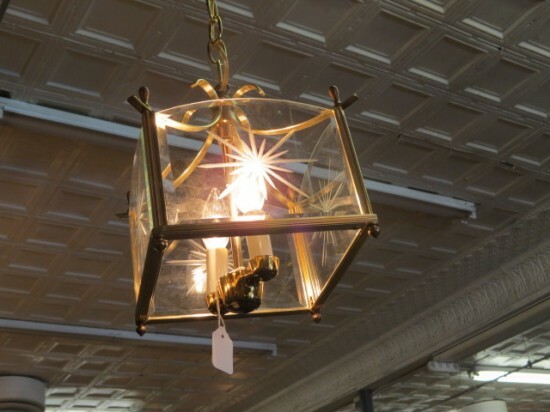 lantern has a brass frame with decorative elements at top and bottom of each corner. curving brass elements at top. 2 chandelier lights. glass has starburst designs etched into the center of each pane. excellent condition: completely rewired. would be great as a hallway or entryway light. 10″ tall, 8.5″ wide/deep.